This week we took in 3 new children – Santiago (5), Nicole and Emma (3-year-old twins). Nicole and Emma are our third set of twins, and our second set of 3-year-old twins. New Hope is a busy place!! 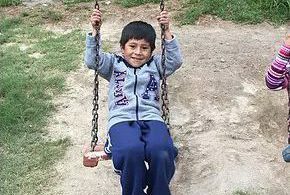 We are still waiting on the full report about their situation, but what we know at this point is that their dad is completely out of the picture and their mom abandoned them. The kids had been living with their grandmother, but she is very elderly and struggled to care for them. She doesn’t have a house of her own, so they were living with other people who couldn’t accommodate them long-term. 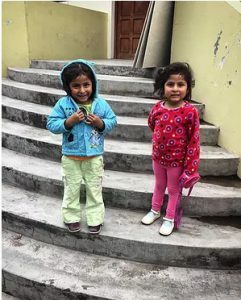 Recently they had to move out and were living on the streets, which is how the children were found and brought to New Hope. Santiago, Nicole and Emma are doing well at New Hope and are fitting in great with the other kids their age. We covet your prayers for them as they adjust to their new home at New Hope. Pray for healing from all the turmoil they’ve endured and for them to develop stability and confidence in their caregivers here, and that they will come to know God as their father who loves them beyond all measure. 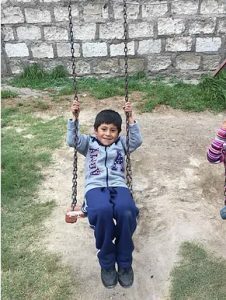 You can support Santiago, Nicole or Emma as a child sponsor to help provide for their care and pray for them individually. Learn more!